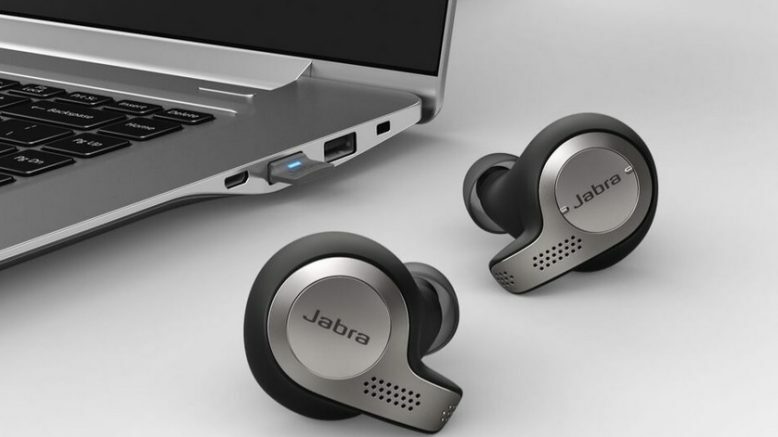 As you have noticed , Jabra had been adding new UC headsets to the market, and it can become a little overwhelming trying to find a headset that can work with your smartphone and your computer. 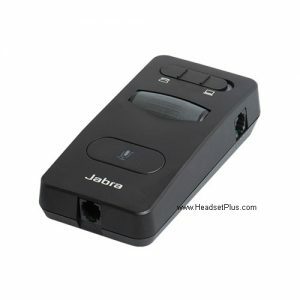 Personally, I do use and need something reliable and easy to sync thru all my devices and get the best sound quality with no performance sacrifice. 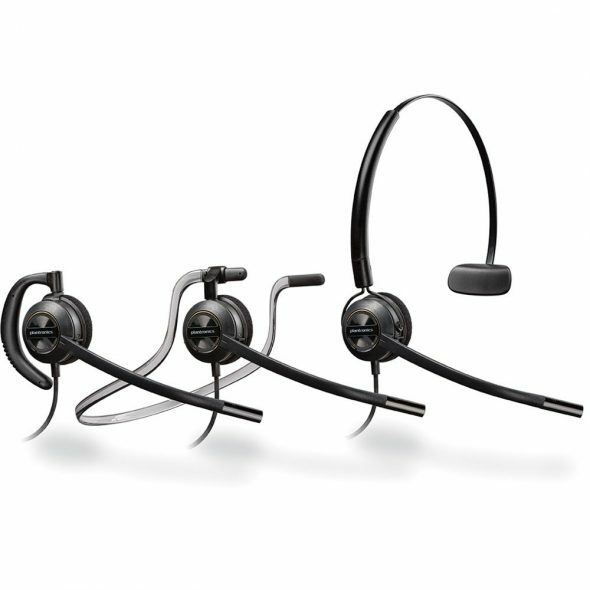 With so many options today you might ask the same… What’s the main difference between the Jabra Evolve 65 and the Jabra Evolve 75, besides the name? 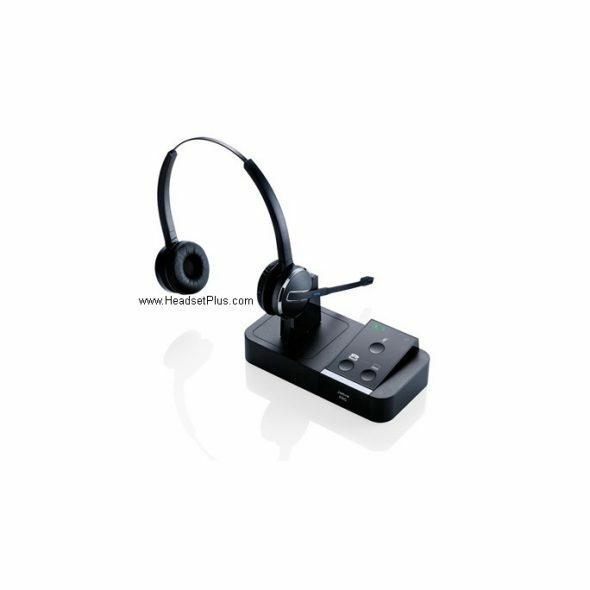 Both of these headsets are going to be Bluetooth, so you can easily use with any Bluetooth enable device such as Smartphones, iPhone, Tablets, Laptops and some desktops as well. 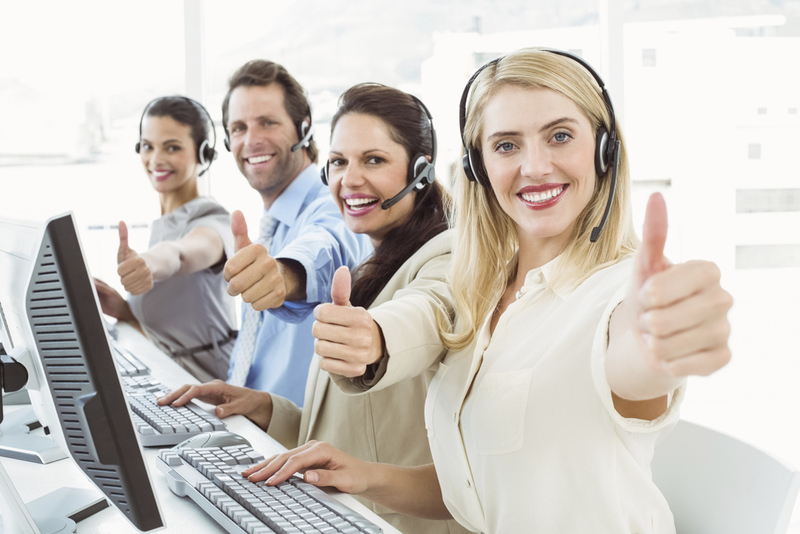 I will analyze both of them and will explain you in deep the main differences, and will let you know my favorite choice. 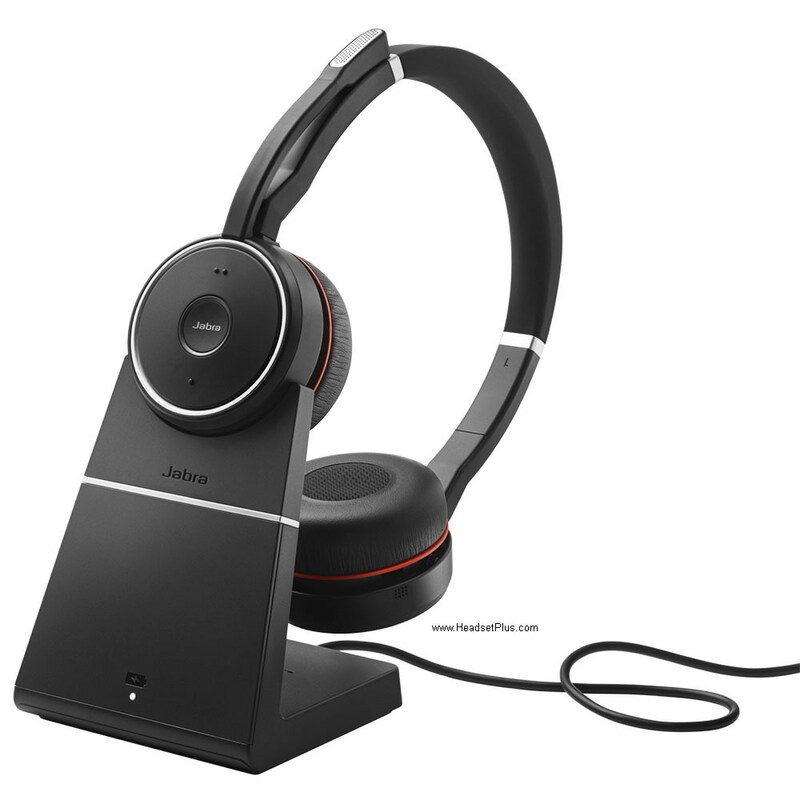 The Jabra Evolve 65 is a nice quality wireless headset from Jabra, designed to be used with Smartphones , tablets , laptops and desktops via Bluetooth, all this thanks to the Jabra Link 360 adapter included with it. 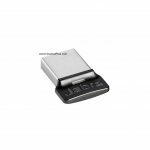 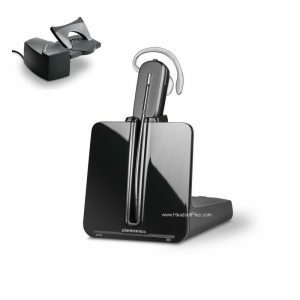 It is always recommended to use the Bluetooth dongle in order to get the best range when you want to use your Evolve headsets with your laptop or desktop. 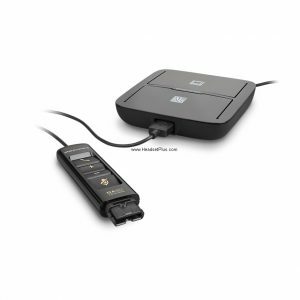 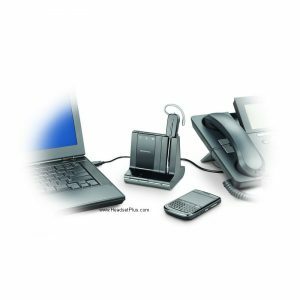 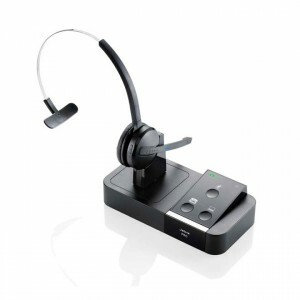 Easy to use and set up , just as Plug-and-Play makes it so easy to be used by any one even with no tech skills. 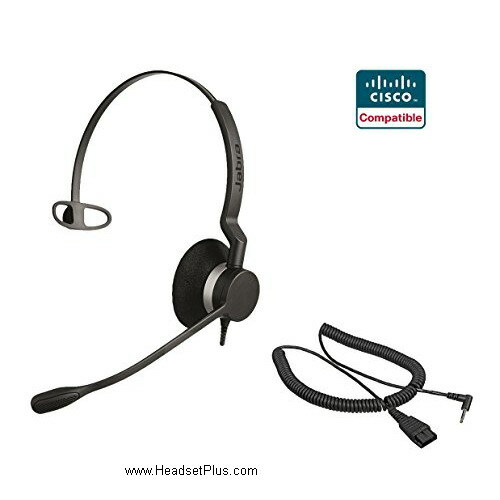 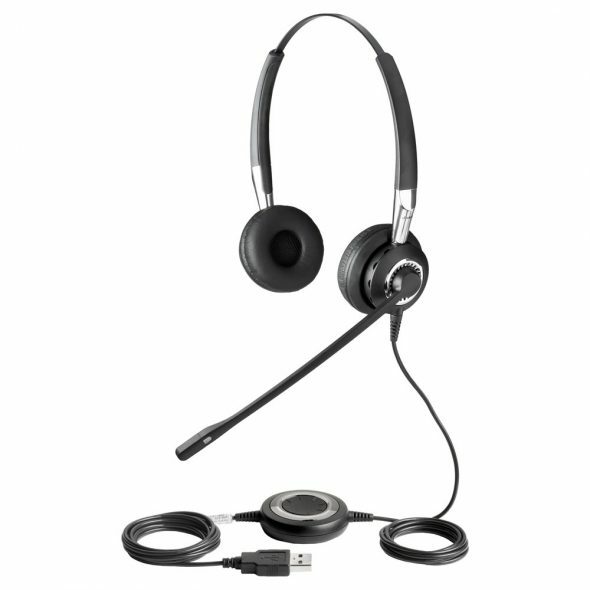 This headset gives you a range of up to 100ft, and gives you a nice 10 hour talk time when fully charged. 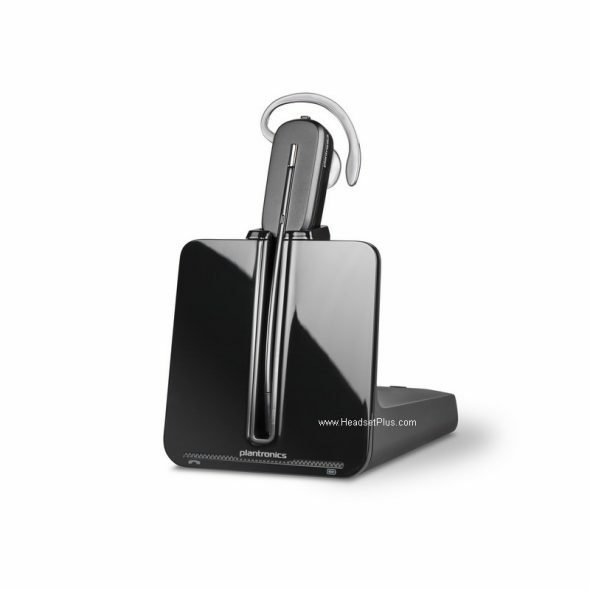 You have a couple of options here available, the nice Evolve 65 Mono, that will be covering just one ear, the Evolve 65 Stereo that will be covering both ears and Evolve 65 Stereo with Stand , that allows you to leave the headset and charge it on its nice and well finished stand/docking station. 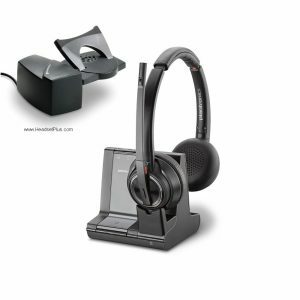 My favorite in this family will be the 65 Stereo with Stand. 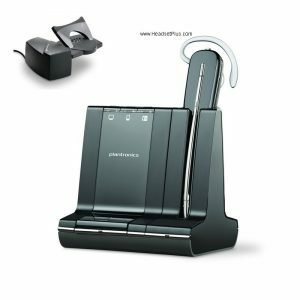 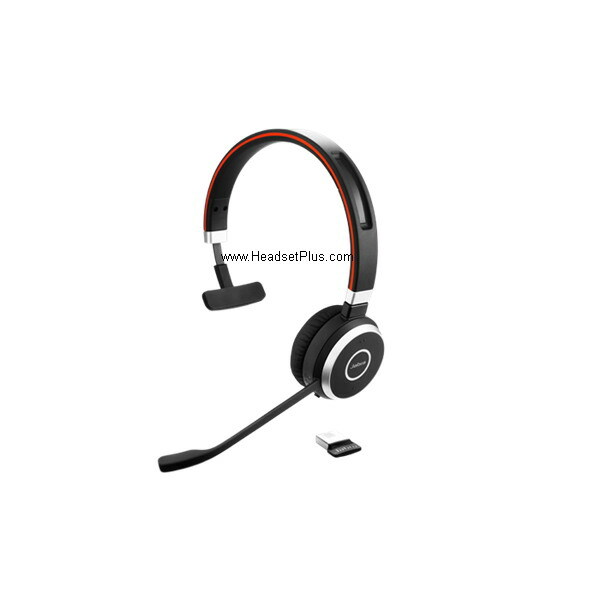 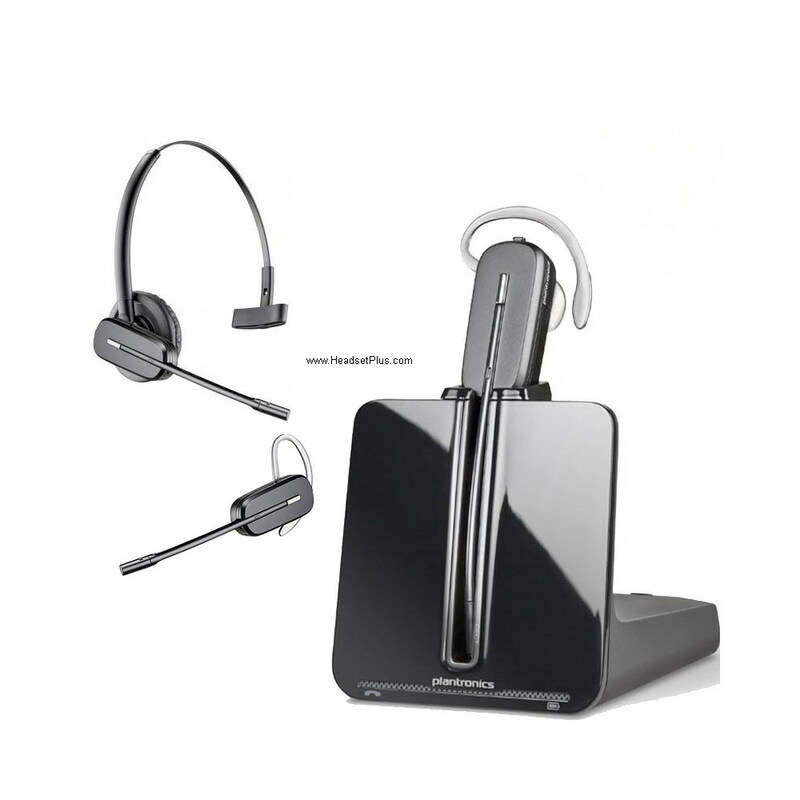 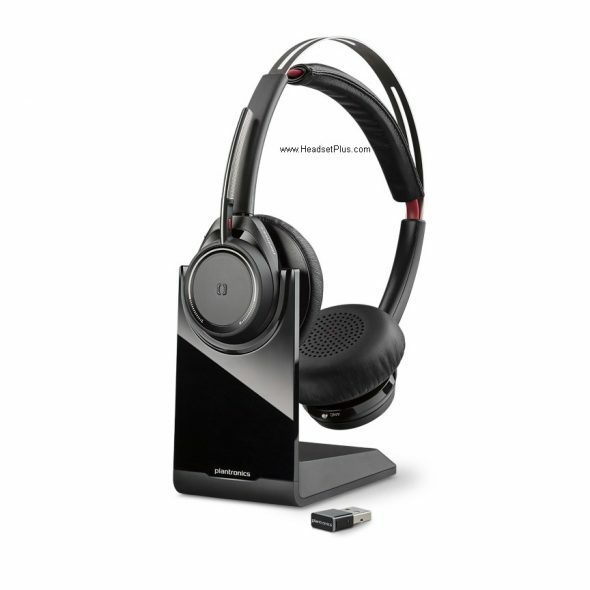 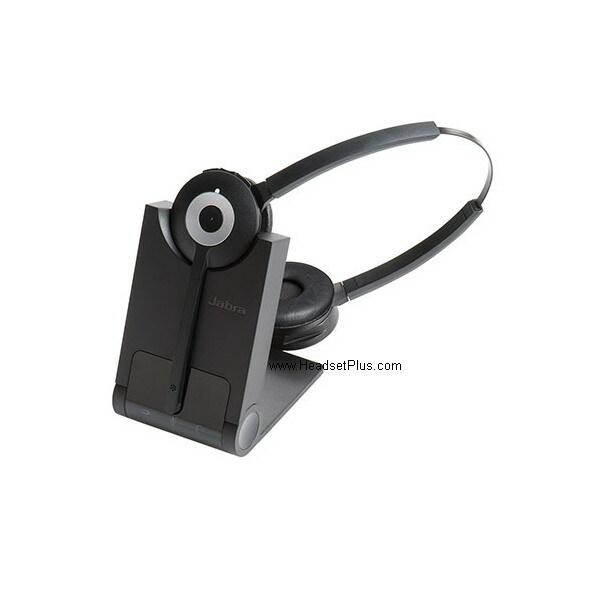 The Evolve 65 comes with a nice noise canceling microphone , with a boom arm that can be stored in the headset when used for just listening music or watching a video. 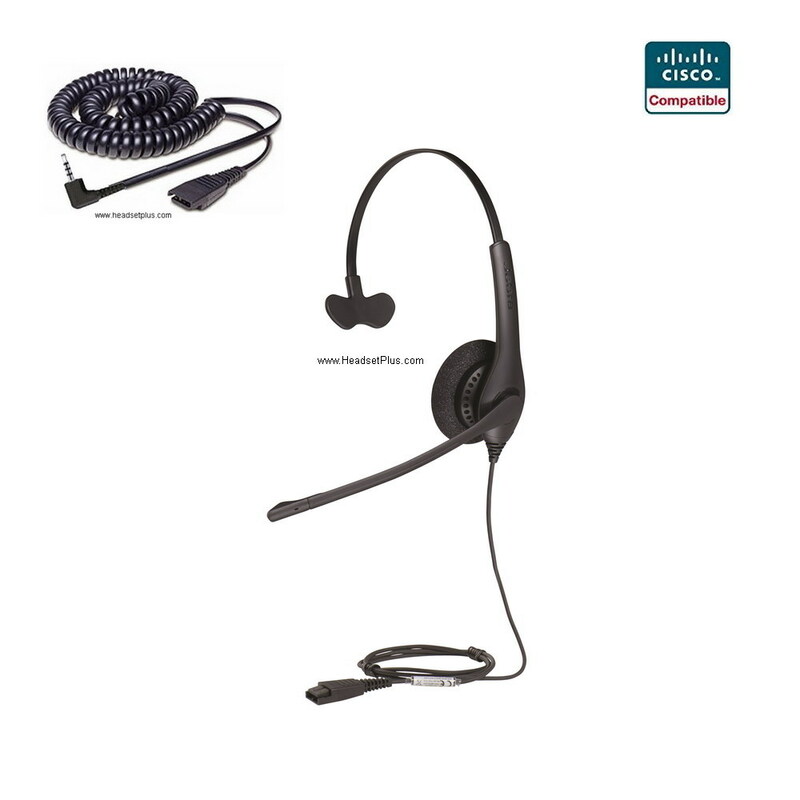 Built-in busy-light let you know when you are in a call or when you are using your headset. As additional feature, you can turn on the Busy-light at will, so nobody disturb you. 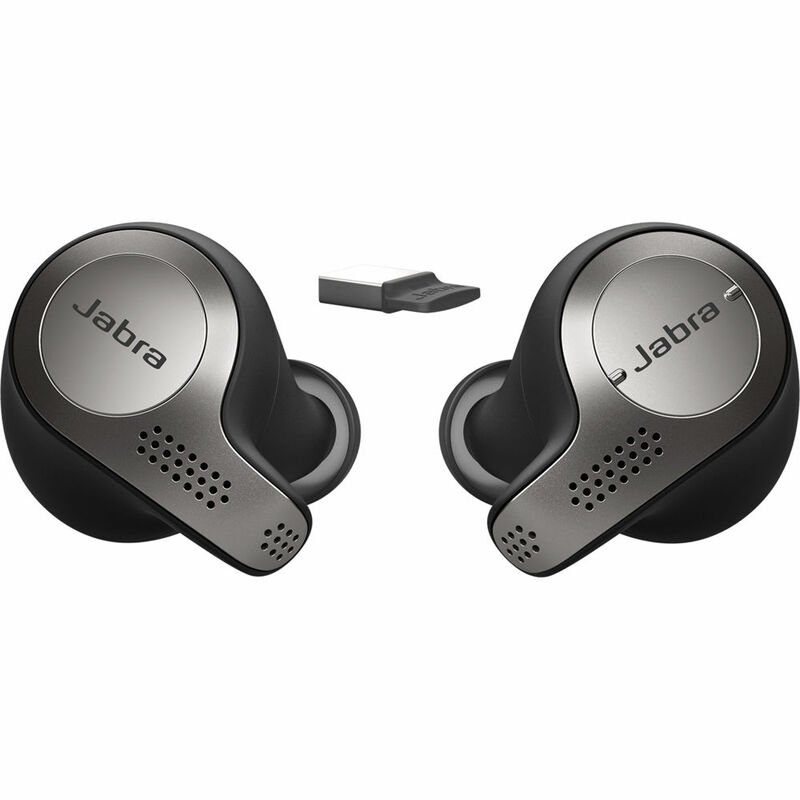 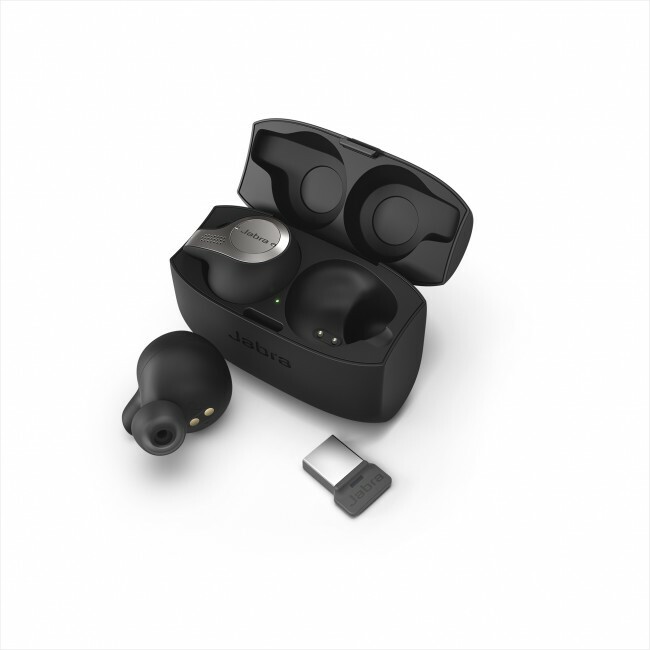 For those that want something lighter or less bulkier, Jabra had recently launched the Jabra Evolve 65t, that is mainly a reduced size and proportions , on the form of earbuds. 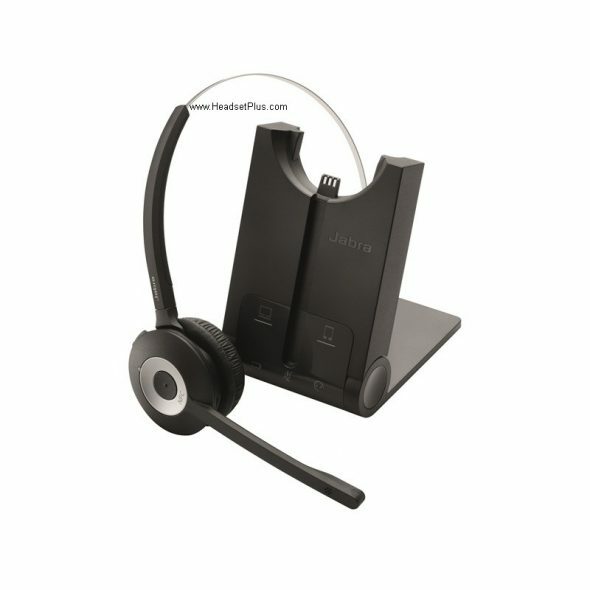 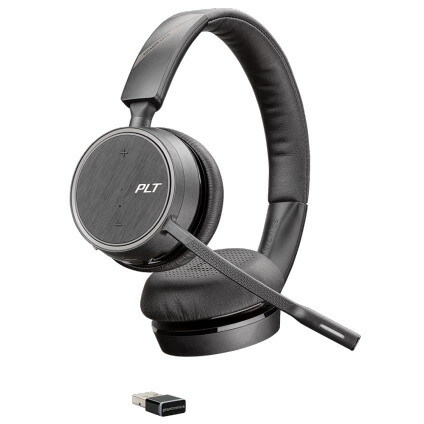 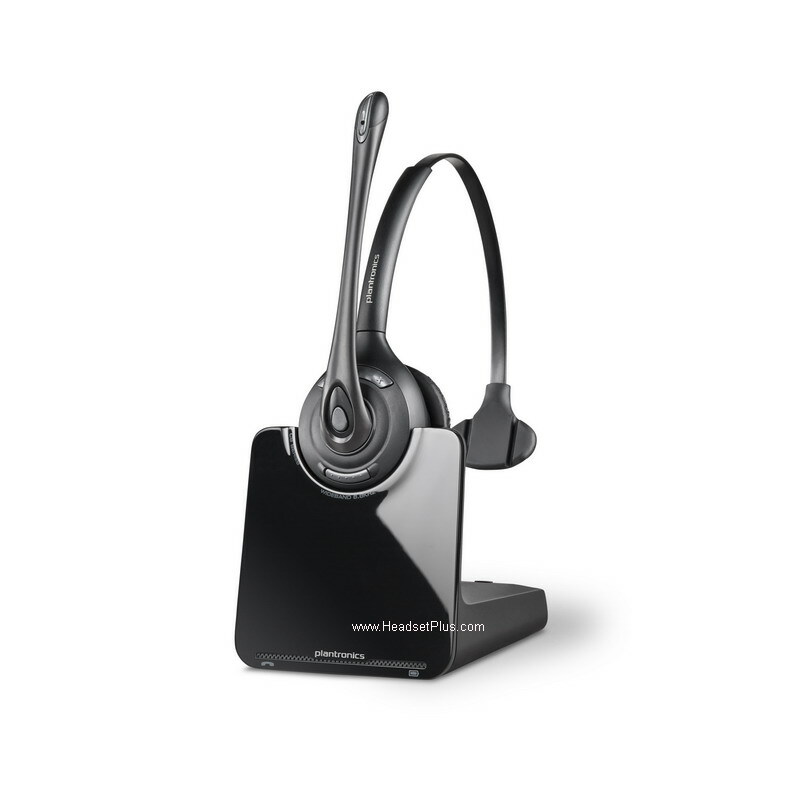 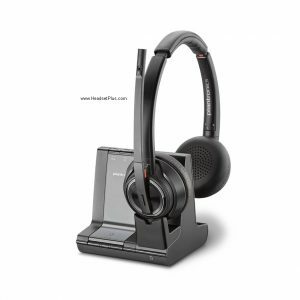 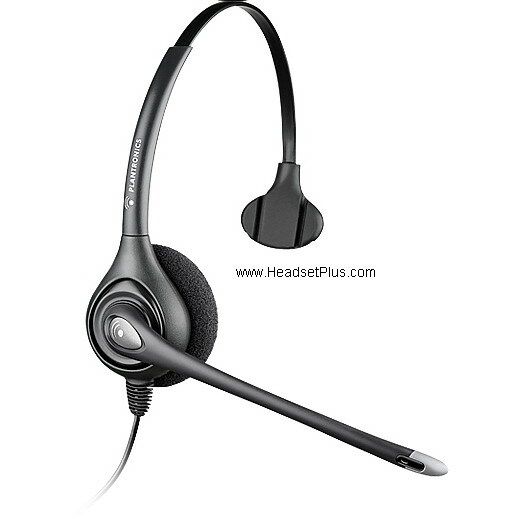 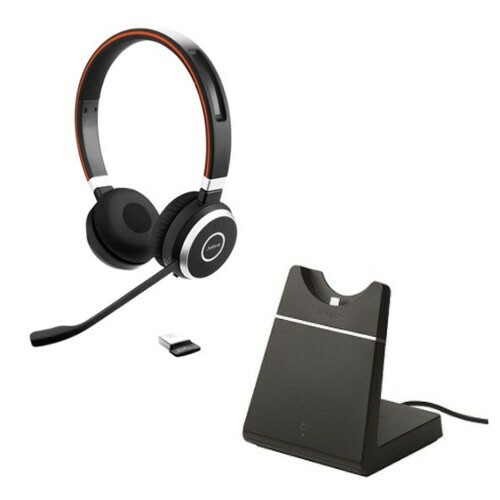 This headset offers a nice quality and talk time compared with competitors, 5 straight hours of talk time , close to 6 on just listening mode, while some competitors just offer about a little over 2 to 3 hours max, a nice feature is that the carrying case is the same charging station, using the charging case can give you up to 15 hours of talk time! 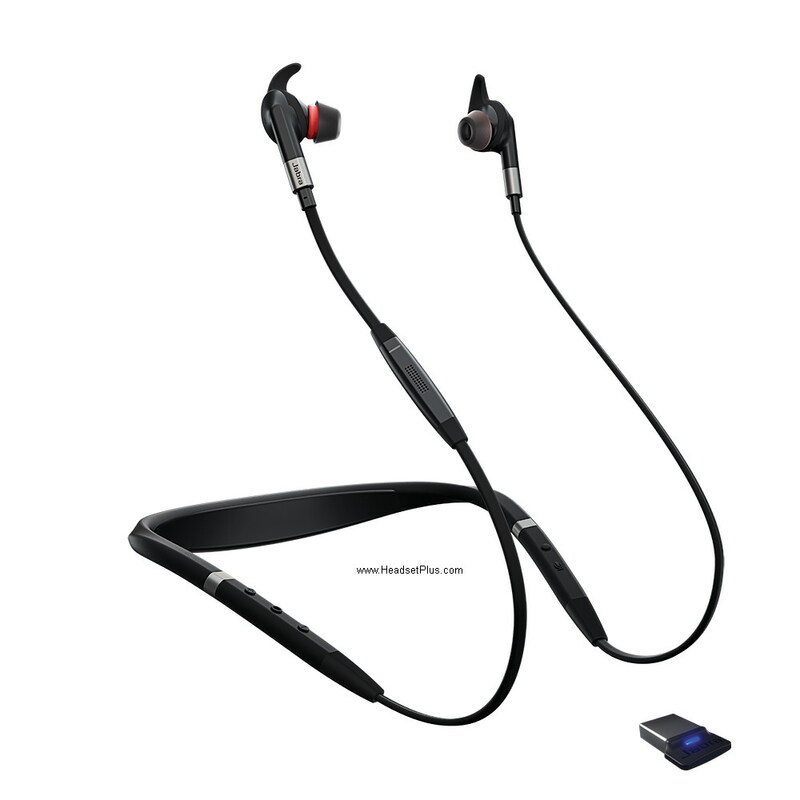 The Evolve 75 can be considered the Evolve 65 bigger brother. 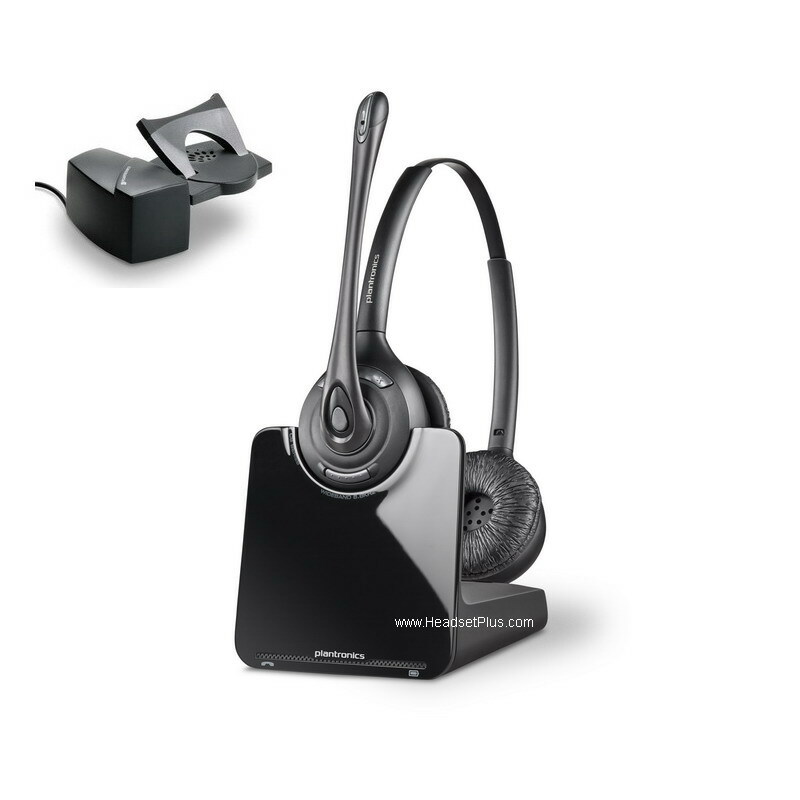 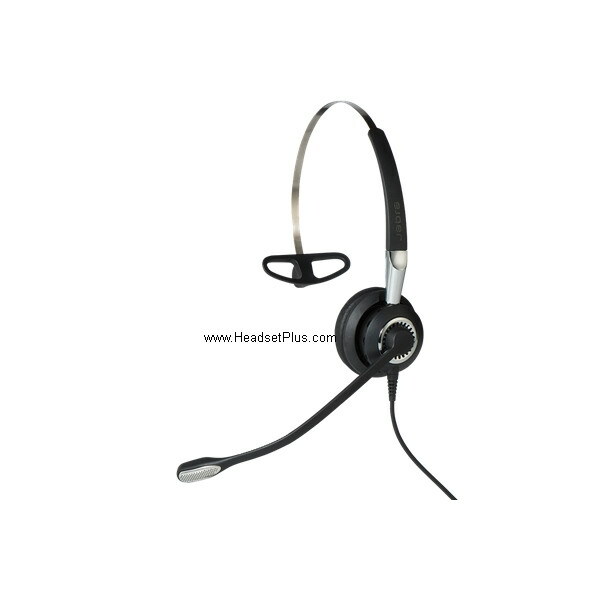 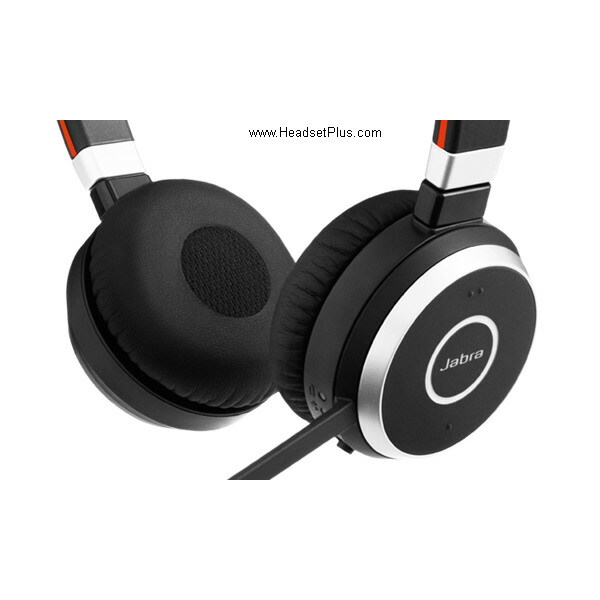 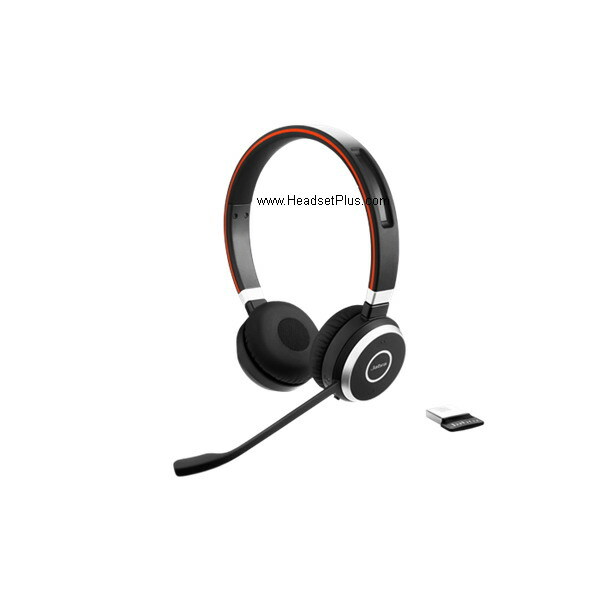 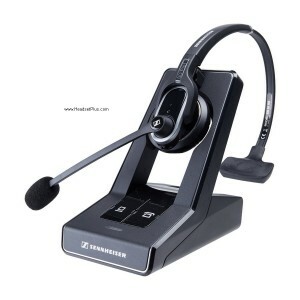 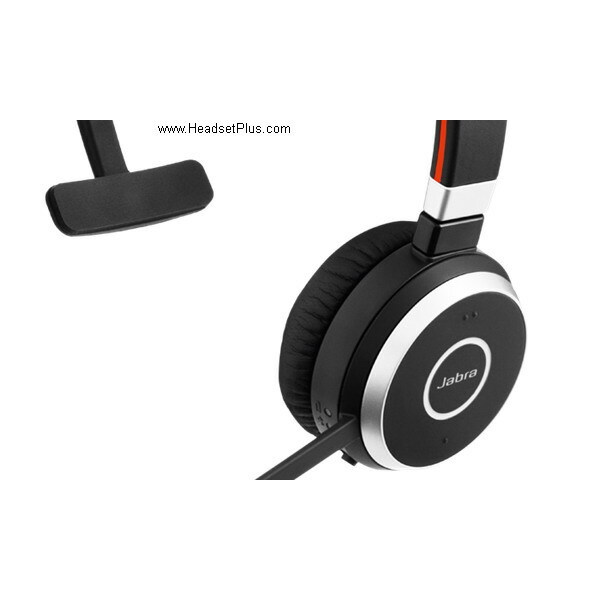 It is a more sophisticated headset with additional features that will amaze any tech and not tech people. 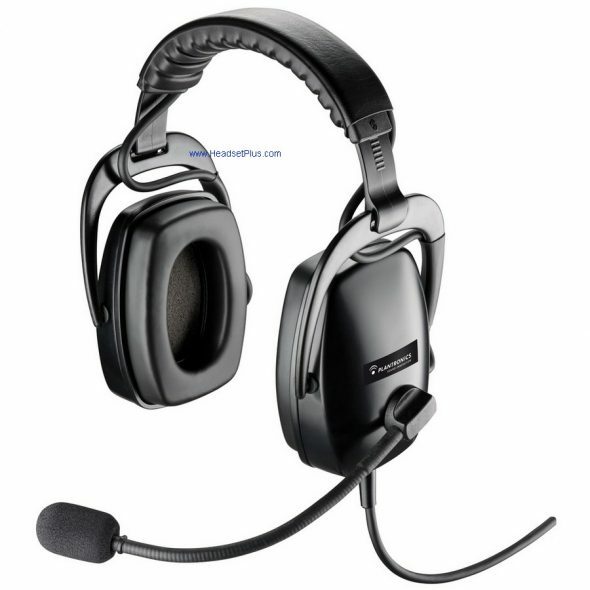 One of the main features that would like to address will be the addition of Active Noise Canceling, this will be coming from the ear cups, specially designed for those really loud work environments, this feature can be used as well with the headset off! 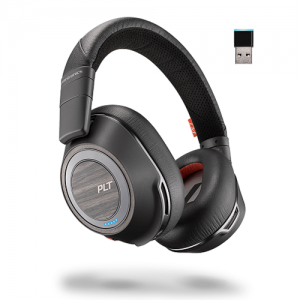 Check my previous blog if want to learn more about Active Noise Canceling. 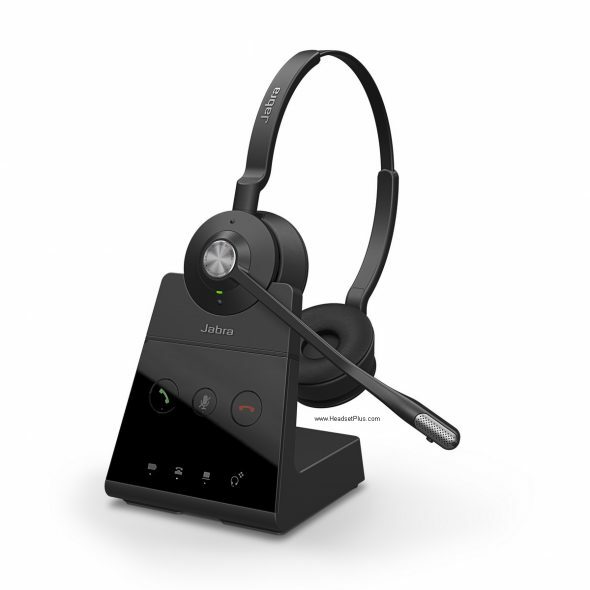 Another feature of the Jabra Evolve 75 is the 15 hours of talk time when fully charged. 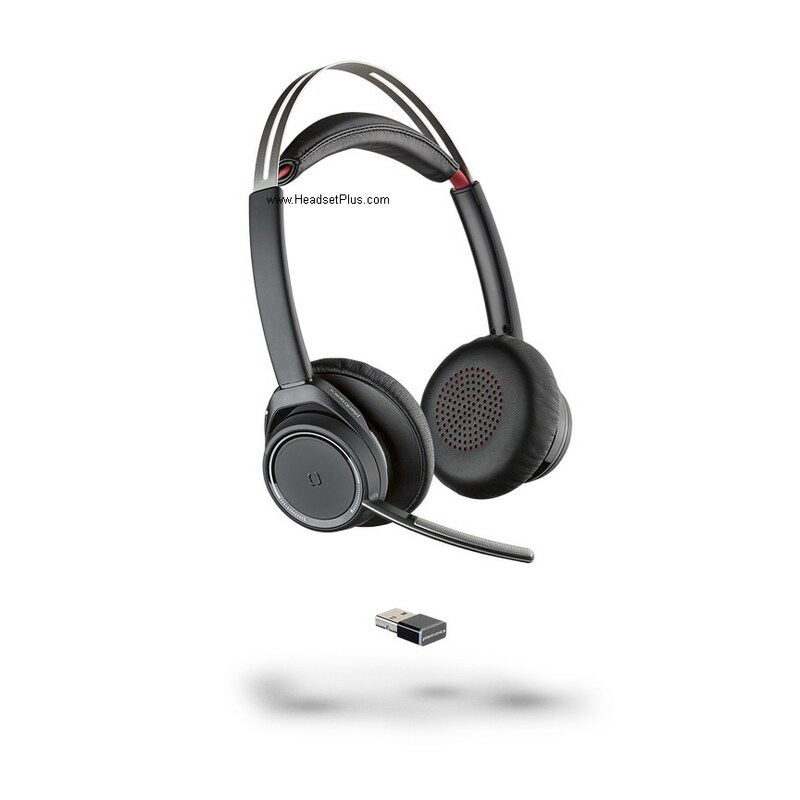 with a range of 100ft thanks to the Jabra Link 370 Bluetooth Dongle. 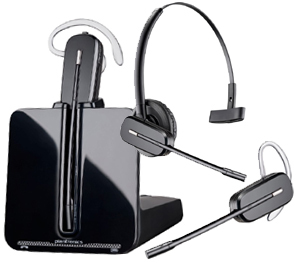 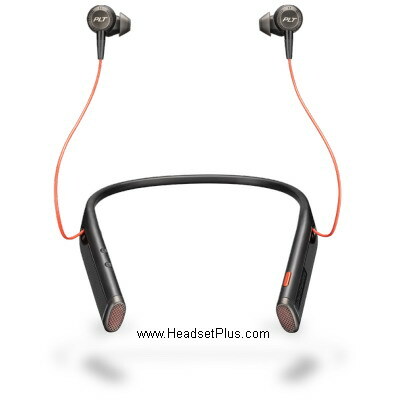 The Evolve 75 can be found in different flavors , including Evolve 75 UC , Evolve 75 MS (Which stands for Skype for business certified), Evolve 75 UC with charging stand , Evolve 75 MS with charging stand, Evolve 75e UC, which is the earbuds style for people that don’t want something as bulky or big covering both ears, and finally the Evolve 75e MS including the Certification for Skype for business. 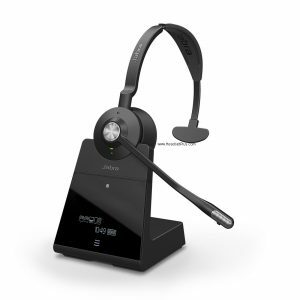 Personally, I have the Evolve 75 UC and I totally love it! 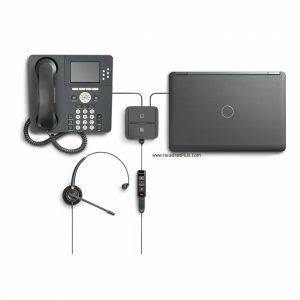 Use it for my cell phone and to watch movies and webinars in my tablet, the range and connection is one of the best ones that I had ever seen, bypassing a lot of the competitors. 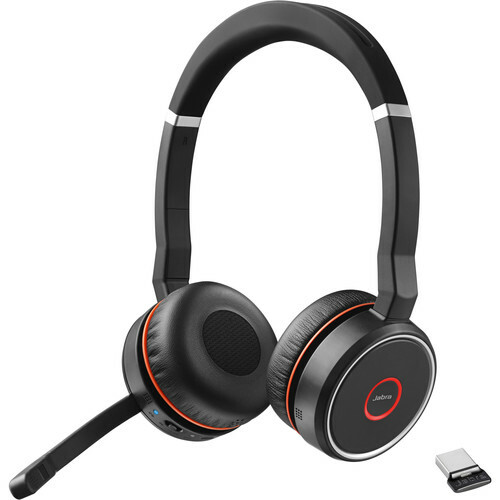 The Evolve 75e gives you a nice talk time of impressive 14 hours , similar to the full bodies Evolve 75, which is an impressive power time for a small earbud headset. 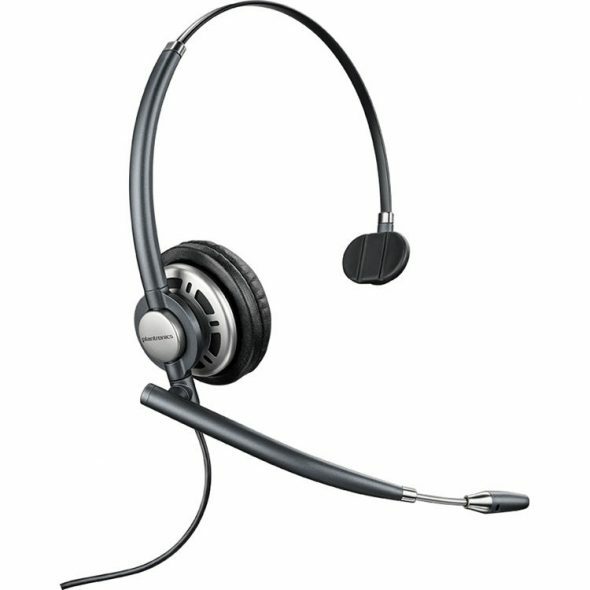 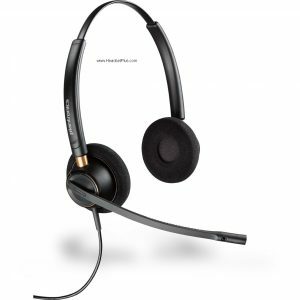 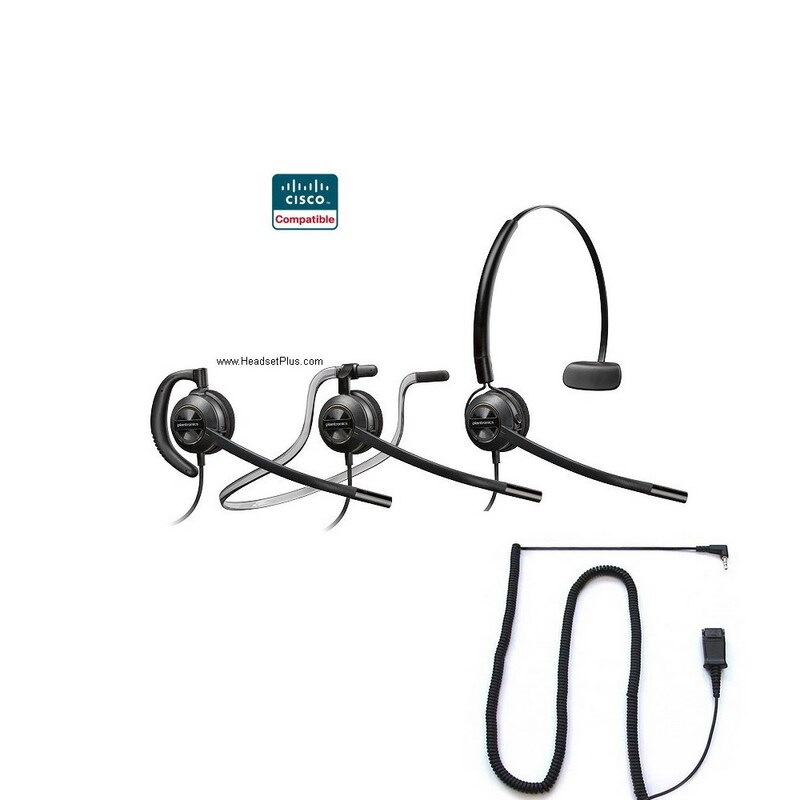 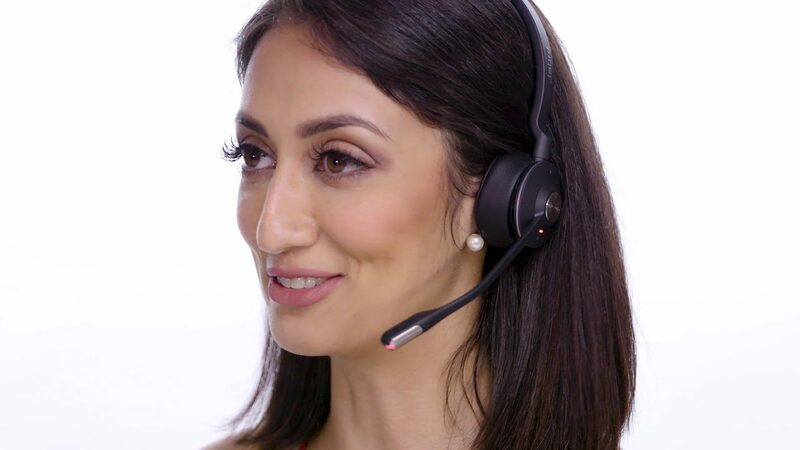 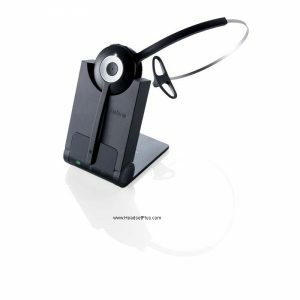 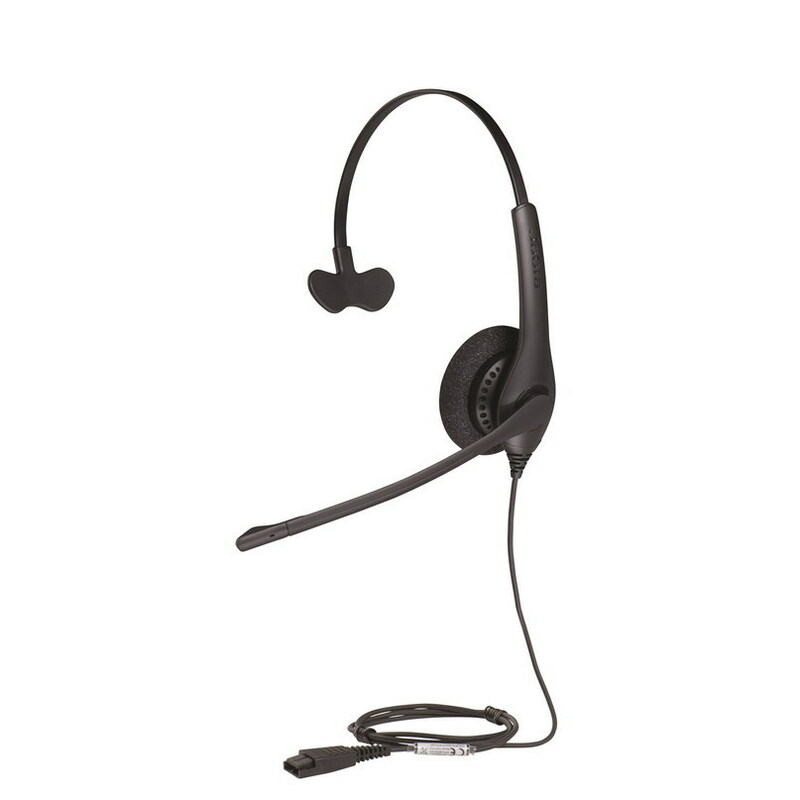 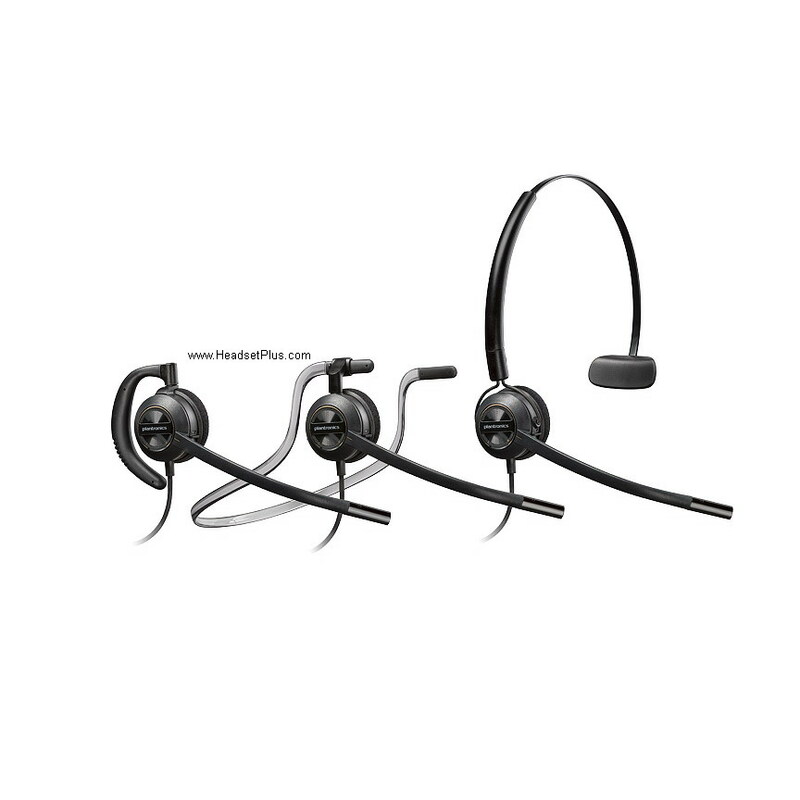 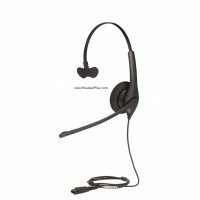 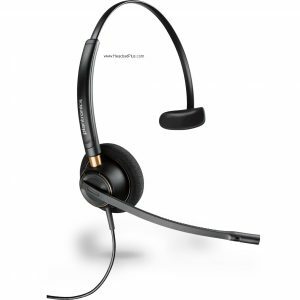 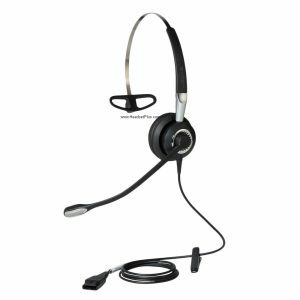 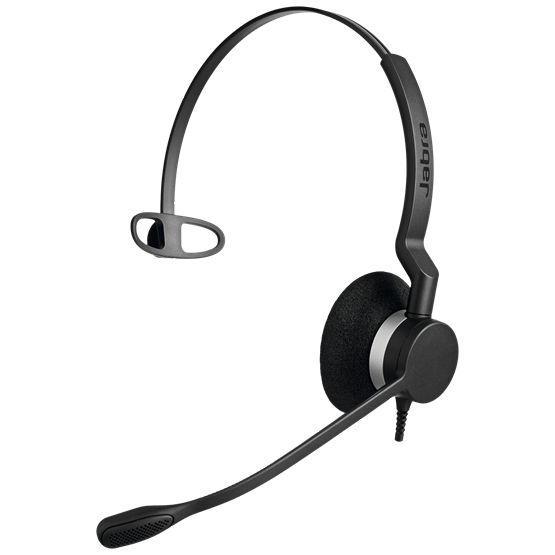 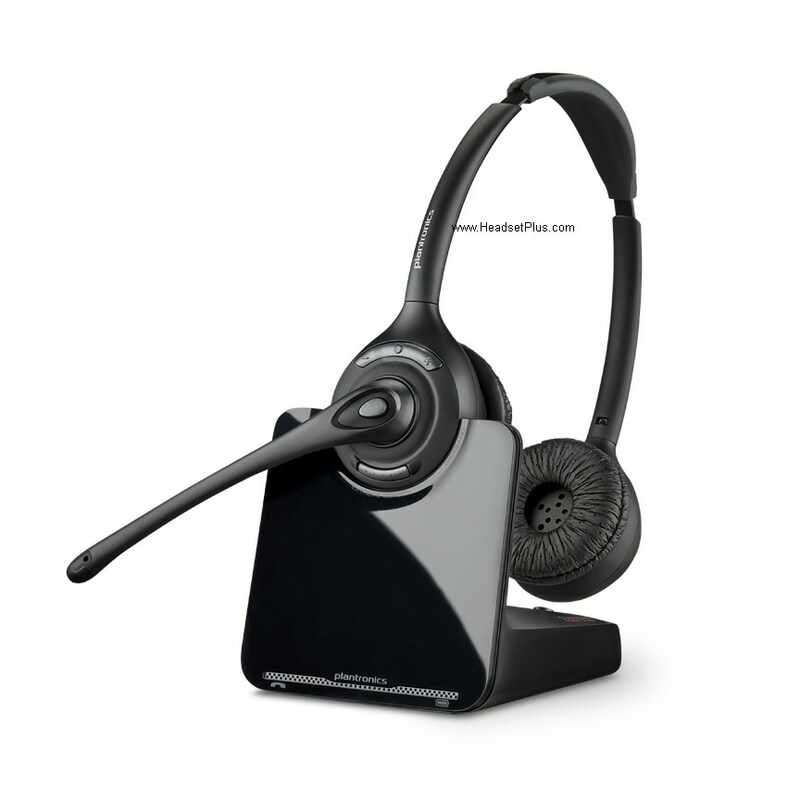 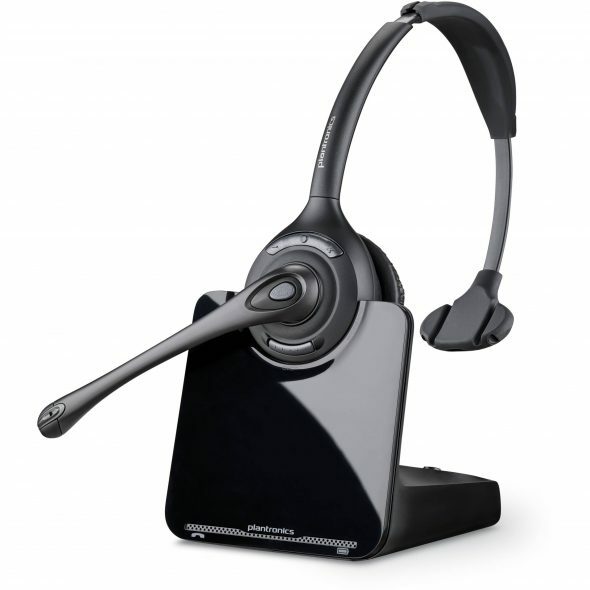 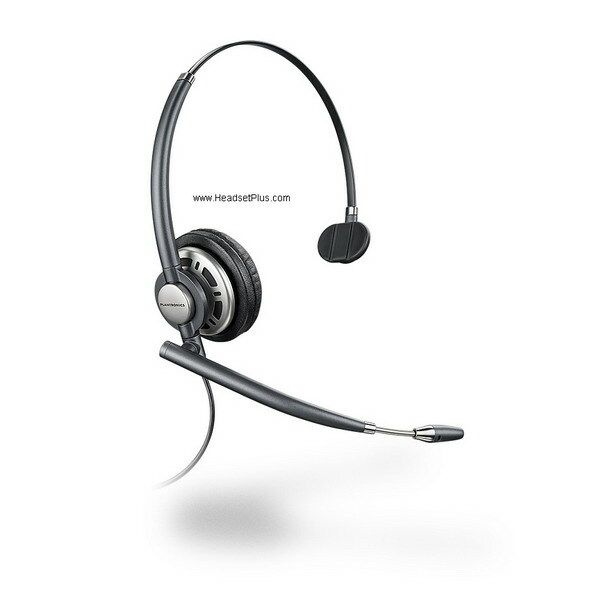 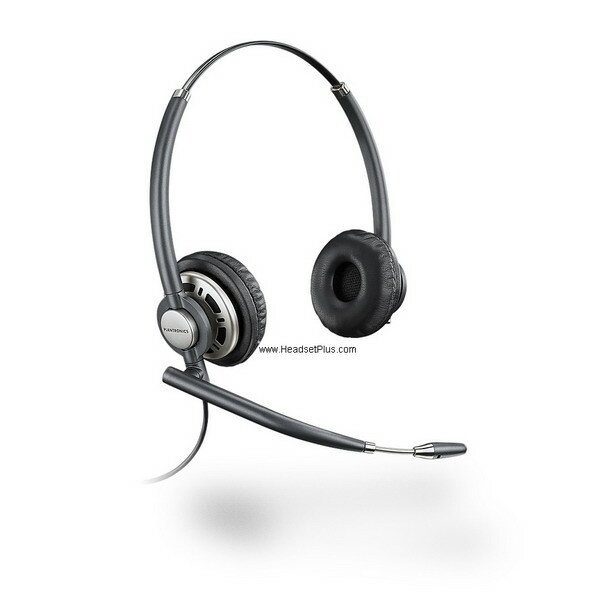 As with the Evolve 65, the Jabra Evolve 75 has a noise canceling microphone with a boom arm that can easily be clipped to the headset when not in use, plus its Built-In busy light that allows you know when you are on a call or using your headset. 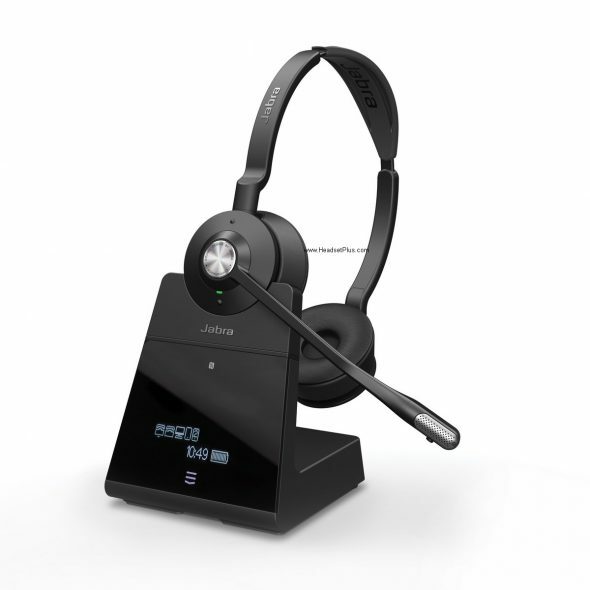 As the younger sibling the Evolve 65, you can turn on the Busy-light at will , perfectly designed when you don’t want to be interrupted. 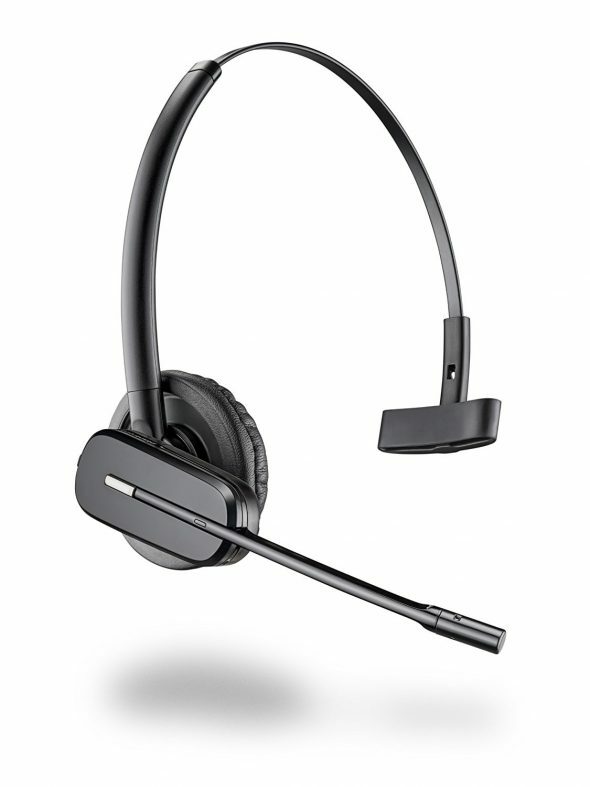 The Busy-light its built in to both sides of the headset and the brightness is one of the best ones in the market.